Nokia 222 Dual SIM & Single SIM latest flash files pack v:20.05.11 with Arabic language flash files here we share both of Nokia 222 RM-1136 latest version flash files for Pakistan which have Urdu language flash files and Nokia 222 RM-1137 the latest flash files version 20.50 for South Asia and Afghanistan.This is the final version of flash files so if you need the latest version of Nokia 222 Arabic flash files it,s for you.you can flash this phone without any flashing device at home with Nokia Care Suite or if you have a shop then you can flash this phone with Infinity Nokia Best flashing tool. 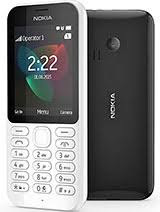 Nokia 222 firmware this is the latest version flash file for you and the version is 20.05.11 You can also download the Nokia 222 Flash tool from this page the download link for the flash tool is also given at the last of this page. The flash tool will also help you to flash your phone through a USB Cable. This phone have MTK based CUP that's why you can only flash this phone with Infinity Nokia best or if you want to unlock or factory reset then you can be used other chines flashing tool like Volcano Inferno tool or Miracle box to unlock or factory reset selection MTK platform.Before flash or unlock this phone you must have to install Nokia 222 MTK USB drivers for downloading USB drivers click here. You can easily use any flash tool to flash your phone and install the firmware on your Nokia 222 RM-1136 & RM-1137 mobile phone. You can flash this phone with Infinity Nokia Best your phone easily. To install the flash file on your phone the method is very simple and easy but always remember that the flashing is a risky method of flashing your phone in case during the flashing phone stop responding for flashing device then your phone can be death and one more point before flash any phone tack back up all of your data after flashing all of your data will be lost. Nokia MTK USB drivers must be installed on your PC. That firmware file is only for only for Nokia 222 RM-1136 & RM1137 don't try to install that firmware on other models of NOKIA devices that can destroy your phone.